Friends of Napoleon III Historical Society Visit Sandhurst. 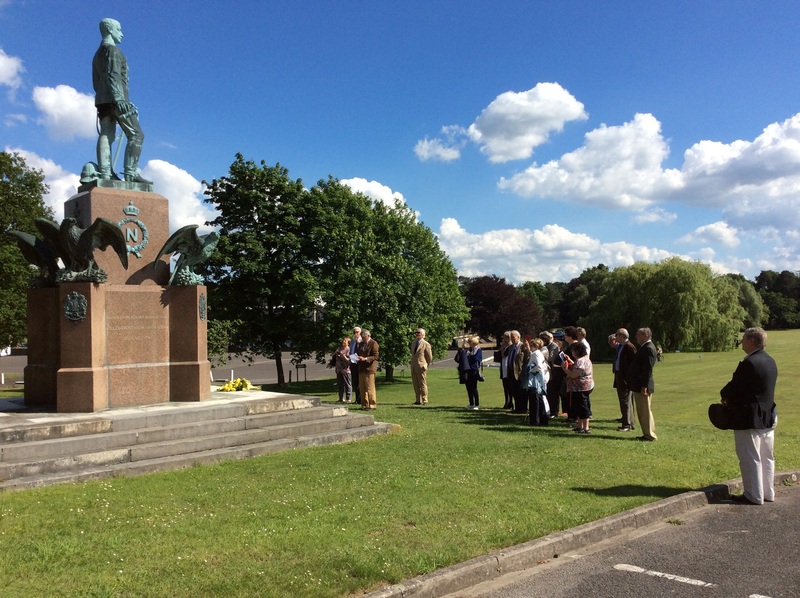 20 members of the society visited Sandhurst on 1st June 2017 to pay tribute to Louis Napoleon, The Prince Imperial of France, who was a Gentleman Cadet at RMA Woolwich. After tea in the Indian Army Memorial Room, the guests viewed material relating to the Prince from the archives, including sketches and letters. The group then toured the Academy, finishing at the statue of the Prince Imperial, who was killed in action in the Zulu war of 1879. Led by their society president, Baron Gilbert Ameil, they laid a wreath and delivered a short address, praising the courage of the young Prince and the staff at Sandhurst for preserving his memory with such care.